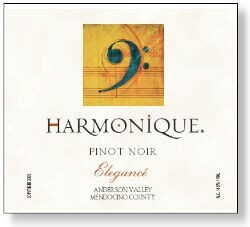 Beautiful color leads to a fruit forward nose of red fruit and spice. In the mouth, the flavors are more of dark fruit predominated by blackberry, black cherry cola and vanilla. The mouth feel is rich, with ample structure and balance to bring pleasure for many years. The finish is long and satisfying with a touch of chocolate to round out the tasting experience. A truly Elegant wine. The Vineyard Sources are primarily Conzelman Vineyards Martini Clone, 30-year old vines; Klindt 667 and 777; one barrel of Oppenlander.